Today had it’s challenges and joys. I had gotten up late due to a bad habit of getting to bed too late. I had been up the night before, doing dishes, making Coconut Banana Bread. It sure tasted good, but it threw me off this morning. 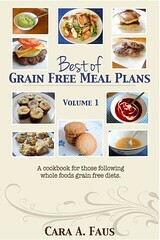 I had also made Almond Flour Banana Pancakes and home made juice from Carrots, Banana, Pears and Apples. I had never used the juicer before and it was fun but I didn’t really have the time. The kids helped me which made it all the more fun. I wanted Joshua to have his cod liver oil but he wouldn’t drink the juice! Drats! I will keep working on it. Joshua did go to the Mom’s group with Michael and I at St. Brendan’s while the girls attended the Home Zone at the YMCA and he did well in the nursery but had to be removed due to trying to eat the other kids’ snack. I kept tabs on him in with the mom’s but he kept trying to get into the moms’ treats after crawling under the tables. Toward the end of group, Josh hid behind some tables and had a huge blow out. I ended up having to change his clothes and the whole nine yards. I was grateful for the nursery worker, Suzanne’s help because he had really bad diarrhea. Then, the rush was to drive home in time to feed him lunch and get him on the school bus. He dawdled eating but I just ended up sending his teacher an e-mail and sent the rest of his lunch with him. The fact that he has been experiencing more severe diarrhea is causing me to re-evaluate his diet. 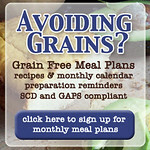 My friend, Anneke, had suggested when I spoke with her Sunday, to look at doing the Intro part of the GAPS diet. Kimberly, his nutritionist, didn’t think it was necessary because at the time, he wasn’t having the severe diarrhea at the start of the diet, just messy poop. She also sent me the link for a Yahoo group and I went ahead and signed up. Already, I’ve been encouraged. 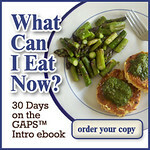 After posting my question regarding his symptoms, I was encouraged to give the Intro to the GAPS Diet a try. So, we are taking a few steps back and giving it another go. In the mean time, I’m waiting for the probiotics Kimberly was supposed to send me and could not find a local retailer who had the Florastor Kids. It was quite frustrating as the website for Florastor gave numerous local stores and after calling and being put on hold for a number of the stores, I completely struck out! No one had any. They could order it for me, of course. Doesn’t help me now! Geesh! I was relieved, when I e-mailed Kimberly, to hear that she would send me some from her office. For dinner I made meat loaf. I forgot to put salt in it, so it didn’t help the experiment I tried. Joshua doesn’t like eating certain vegetables and I saw a recipe on using the food processor for making the meatloaf. Admittedly, I got taken away with it. We had a sitter over to watch the kids for the evening but the word was, he had a melt down around dinner time, most likely due to being tired (hopefully, not the meat loaf). He went to bed early after having his sweet siblings all try to comfort him to no avail. I am working on getting dinner ready a lot sooner and after a long day, including school, I think he was just done. This entry was posted on Thursday, January 7th, 2010 at 4:58 am	and is filed under Autism Diet, General Autism Info. You can follow any responses to this entry through the RSS 2.0 feed. You can leave a response, or trackback from your own site.